So Many Stamps So Little Time: Inspired By All The Little Things #69 - Every Piece of You! Inspired By All The Little Things #69 - Every Piece of You! 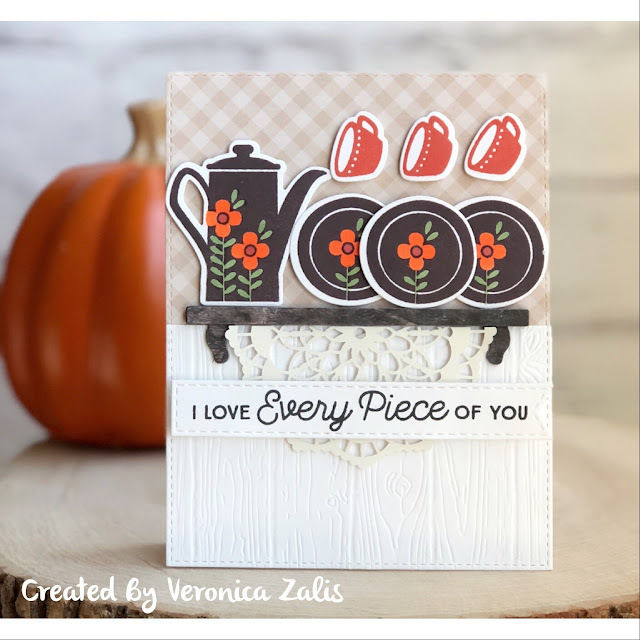 To create my card I used the adorable MFT stamp sets "Kitschy Kitchen", and the sentiment is from "Lets Get Cozy". 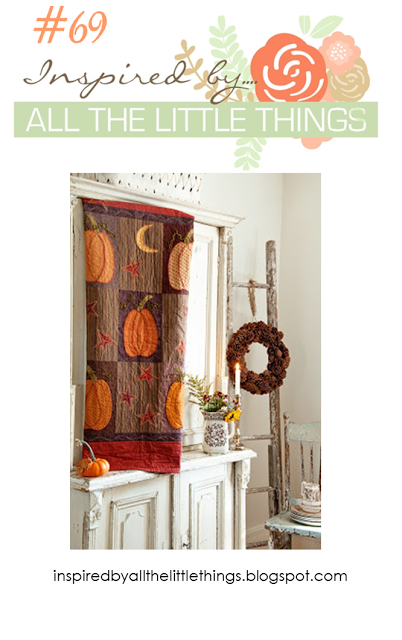 This sentiment set wasn't meant to go with Kitschy Kitchen but it totally works! I really had fun creating this card. I hope you will play along with us this week at Inspired By All The Little Things!. Thanks for stopping by! Wonderful take on the inspiration photo, Veronica! Sweet card Veronica! The kitchen set is awesome and you rocked it with this challenge. Eeek! This is amazing. I love the woodgrain background and the doily, and your fabulous dishes. Such a pretty card my friend. Very sweet take on the inspiration, Veronica! I love the scene you created, looks so much like a real display in a house!